The two-time Golden Globe winner also stopped the Universal Pictures panel to hug a fan who faced his own Michael Myers. Jamie Lee Curtis announced she would reprise her first film role less than three weeks before allegations against Harvey Weinstein ignited the #MeToo movement (see tweet below). With decades of experience in an industry notorious for sexism, workplace harassment, and worse, she sensed that for women, change was afoot. At Universal Pictures’ Friday evening San Diego Comic-Con (SDCC) presentation, she discussed why her “Halloween” character’s turmoil is as relevant as it gets. Fans later got their first look at a sequence from the film, the eleventh in franchise history. Myers is shown brutally killing two women — neighbors who are each home alone on Halloween night. But the most profound moment of SDCC came at the start of the Q&A. 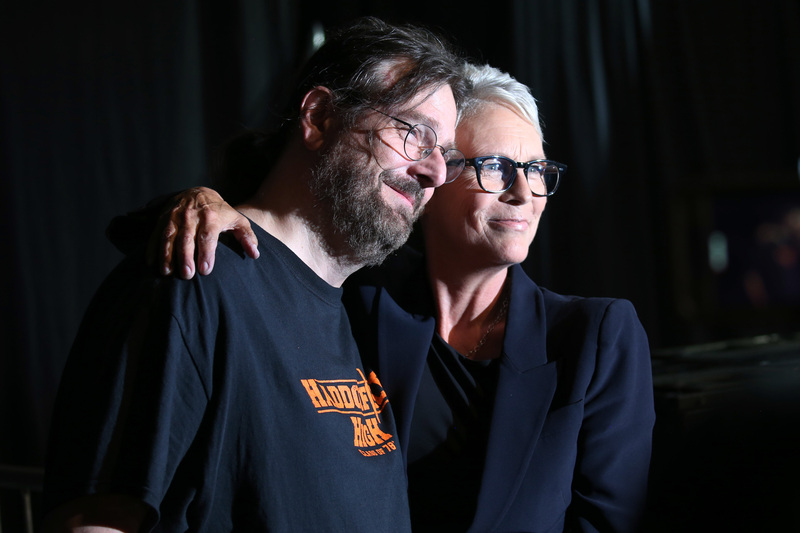 A tearful man in a Haddonfield High t-shirt named Joseph Scott said that when a home invader with a knife threatened his family 20 years ago, his survival instincts kicked in thanks to the thought, “What would Laurie Strode do?” Curtis left the stage to give him a hug, kiss, and selfie. Universal Pictures brings “Halloween” to theaters on October 19.